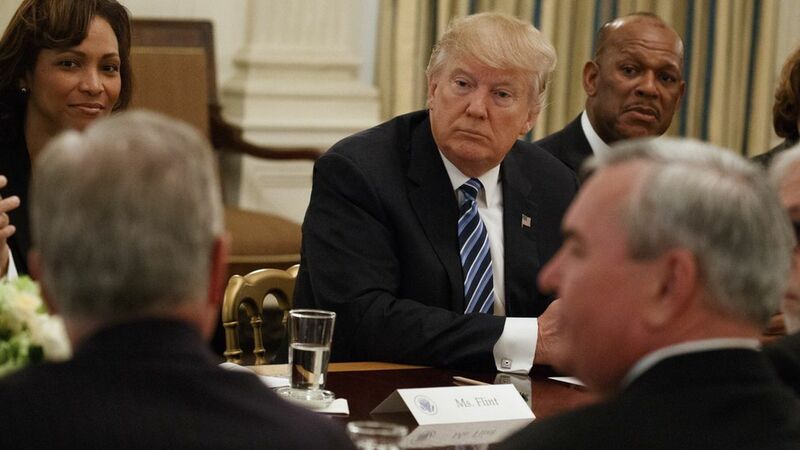 Trump, along with Jared Kushner and economic advisor Gary Cohn, met with the CEOs of United, Delta and Southwest Airlines this morning, among other airline and airport executives. The president kicked off the meeting by congratulating them on their successes despite the "bad equipment" that airports have given them, per White House pool reports. "Let's order the right equipment," he said, adding that the wrong equipment most likely costs more. "We spent $6 trillion in the Middle East, we got nothing... we have an obsolete plane system, we have obsolete airports." Trump then explained how his policies will soon start helping airlines to hire more people and roll back "burdensome regulations." He also said that they can expect an announcement within the next 2 or 3 weeks that will be "phenomenal" in terms of tax. Southwest CEO Gary Kelly said that the top priority for helping airlines would be to "modernize the air traffic control system" noting that money spent on the system has not helped improve it in the past. Trump agreed that the system is "totally out of whack," and said that perhaps it would work better if FAA was run by a pilot.